Piezoelectric materials are attracting significant research efforts and resources worldwide. The major thrust areas include structural health monitoring, bio-mechanics, bio-medicine and energy harvesting. Engineering and technological applications of this smart material warrants multi-dimensional theoretical and experimental knowledge and expertise in fields of mechanics, instrumentation, digital electronics and information technology, over and above the specific domain knowledge. 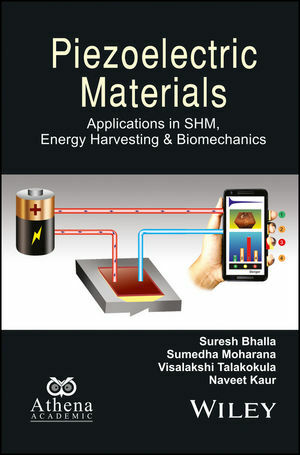 This book presents, from theory to practice, the application of piezoelectric smart materials in engineering domains such as structural health monitoring (SHM), bio-mechanics, bio-medical engineering and energy harvesting.